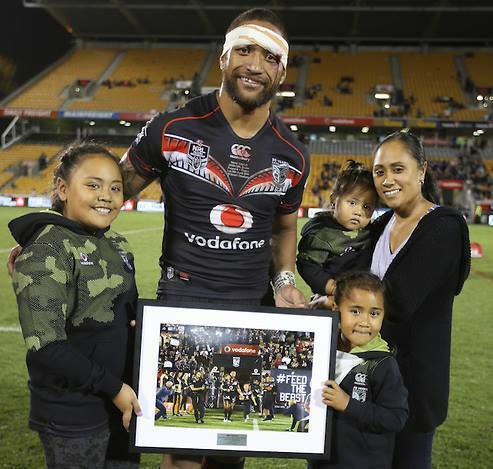 Recent media has come out with Manu Vatuvei saying his family suffered and his children were bullied in the wake of his Shameful Six incident. He was close to giving it all away to protect himself and his family from the public backlash they endured when his night out against team curfew became public. Bullying is disgusting behaviour and is more a reflection on the bullying kids parents than those that are getting bullied. In saying that, its been his own doing. 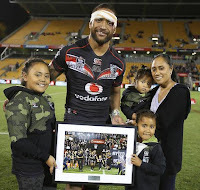 Manu Vatuvei has brought that disgrace and shame upon himself and his family by doing what he did. For us mere mortals we can pop, smoke or snort all the drugs we want. The public wont care, but when you're getting paid a princely sum, some sources claim as much as half a million dollars, to play for the team with the second most support in the nation then you have to expect that the wealth and comfort that your salary affords your family also has some very large expectations. The same thing that can make your children the cool kids at school can just as easily turn on a dime and have them pariahed. That's the dark-side of being such a high profile public figure. No where in his interview with Tony Veitch does he take ownership of that fact. Not once does he apologise for dropping his standards after the team played a pathetic game against the Storm in Melbourne. He even goes so far as to justify the players night out as just something players do to cope. 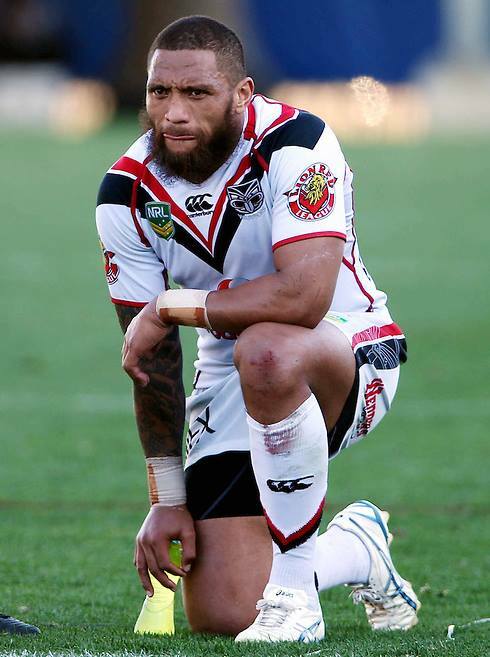 Vatuvei doesnt seem to appreciate just how much disappointment the fans have faced in the wake of their stupid decision to take prescription drugs. I don't condone bullying and think those that have cyber-bullied the Beast need to grow up and understand their careless electronically transmitted words have a real impact on players but Manu Vatuvei, Albert Vete, Ben Matulino, Bodene Thompson, Sam Lisone and Konrad Hurrell need to understand that that sort of behaviour is not acceptable for professional athletes. Particularly when the team have been playing absolutely rubbish lately. Despite the tone of this piece I'm a big fan of the Beast but the team comes first. 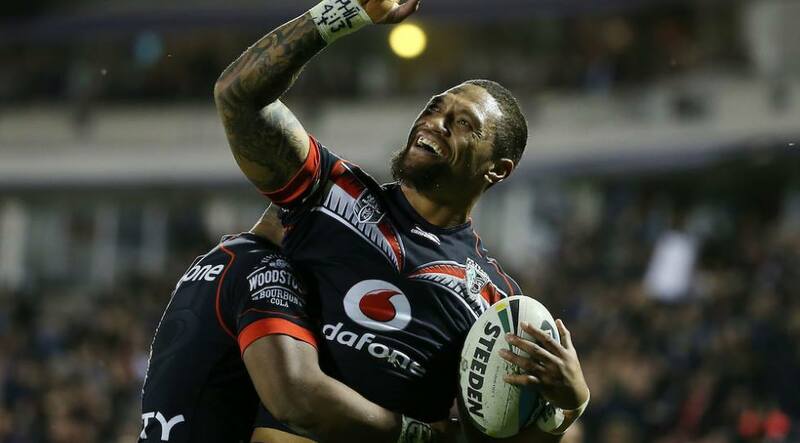 Allowing players to do these sort of things won't win us a Premiership. It's time for all Warriors fans to lift our expectations of this team. Vast majority seem to accept mediocrity too much. 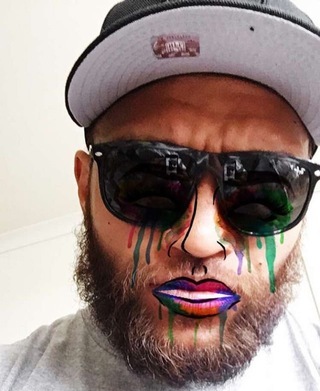 Love to see Vatuvei go back to his try scoring ways, flash those gold teeth while pointing to Sonny Fai in the heavens. I want him to retire a one club player. All he has given us over the years he certainly deserves it. In all his years at the club this is the first off field incident I can remember. He's been a great role model otherwise. Chin up Manu. If the team start winning this will all become a distant memory but know that it was entirely of your own doing. In the meantime, you've made your bed and now you and your family are sleeping in it. This blog is by the fans, for the fans.